So you have seen the gift that I got for Secret Snarker, but what did I give? I made a pattern that I have already made once, Keeper's Dolly Duds Simplicity 1179 pattern. This time I made the collar too. This time I did it in yellow and blue instead of pink and purple. The yellow fabric just said "Rebecca" to me. 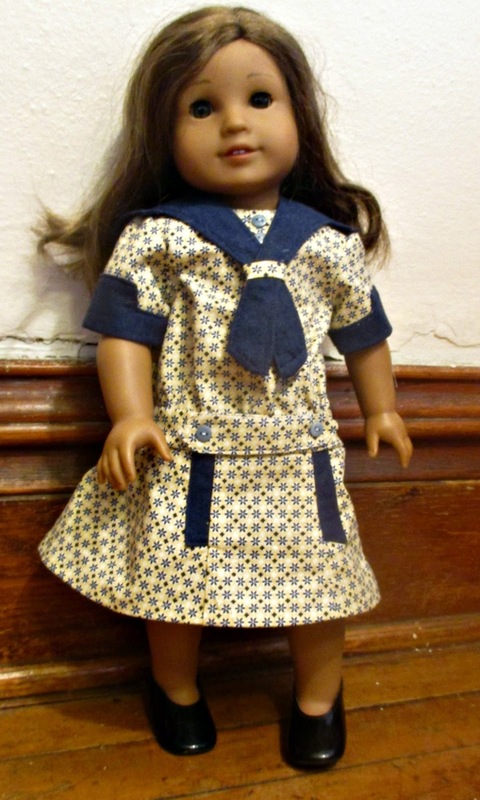 Esdolls was the recipient of the dress. I really like how it turned out! It has buttons in the back, but I didn't take a picture of it this time. 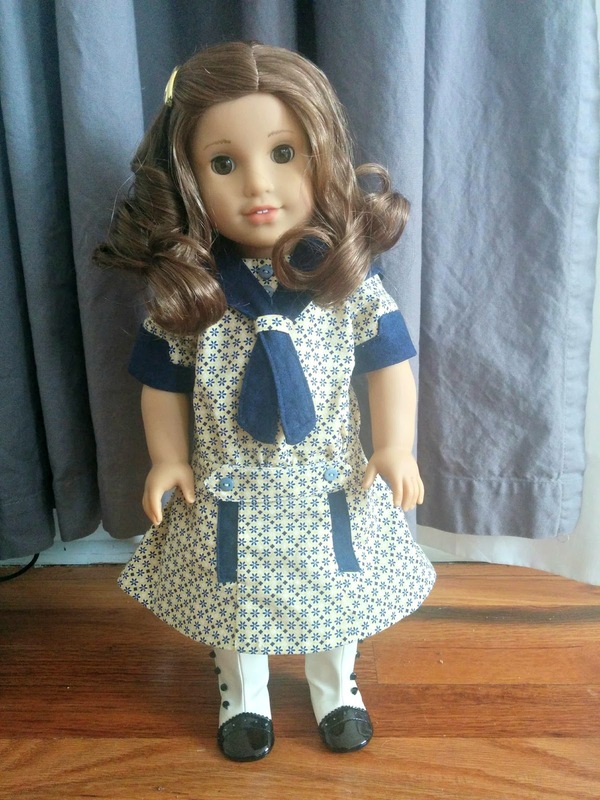 Esdoll's Rebecca looks so cute in this dress! Thanks, Callie! Hope the gang is doing well!